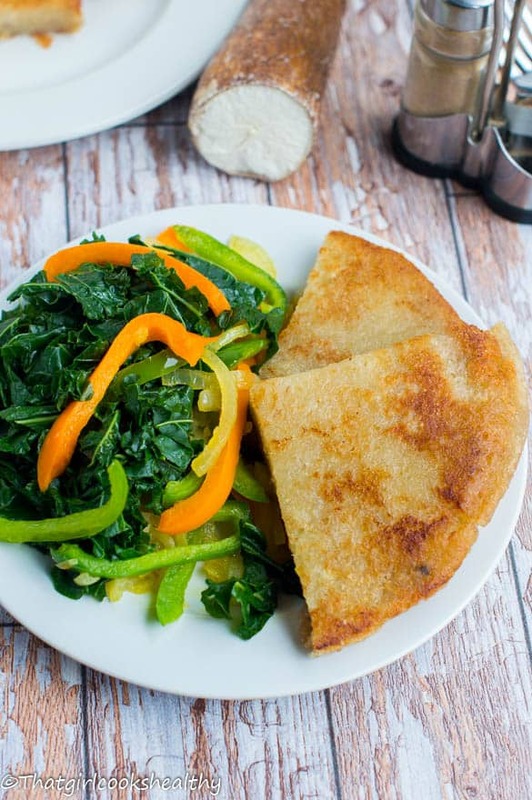 Jamaican bammy – Traditional gluten free, vegan and paleo approved flatbread made from cassava that is saturated in milk, fried or grilled and often served with fish. For those of you who aren’t familiar with what bammy is, well that’s quite alright. In one of my previous articles entitled what is caribbean food I went into tremendous detail about the various ground provisions which are consumed by island people. 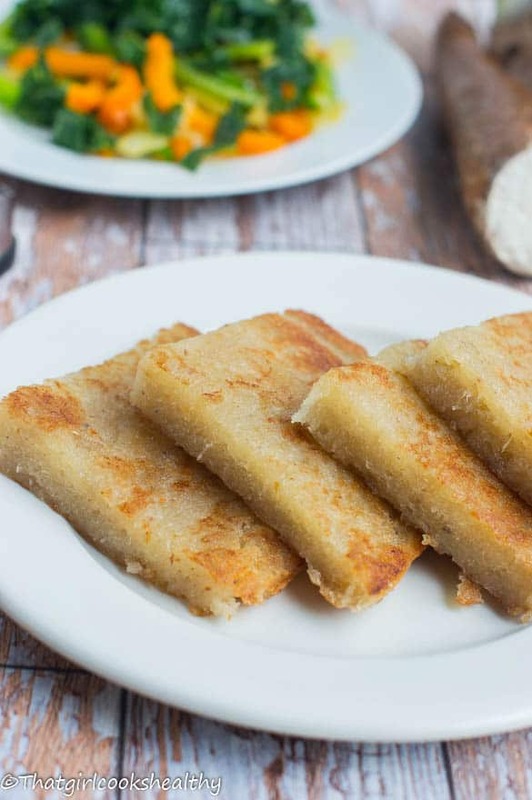 Bammy is actually a flat bread made from cassava, a starchy complex carbohydrate vegetable usually eaten with fish. This flat bread is something that goes back to the days of the original inhabitants – the Arawak Indians and is still presently consumed. This dietary staple, is sold commercially in supermarkets as well as made from scratch. I prefer to follow my own paleo friendly Jamaican bammy recipe instead of purchasing it as I find the store brought kind to be high in refined sodium. How to make Jamaican bammy? In short the cooking process is as followed; grater the cassava — extract the liquid — add salt to the dried pulp — fry and form bammy into a circle in the frying pan — submerge in coconut milk and either — refry or grill the cassava flat bread. In order to get the cassava to a stage where it resembles a mound of white pulp, will require some hard grafting with a grater. I’m sure there is probably a shortcut with a food processor, but I haven’t tried it yet. Being the perfectionist that I am I don’t want to potentially ruin this recipe. At some point I will experiment with the idea of breaking down the cassava in a food processor and get back to you with the results. Once I had grated the cassava I used a cheesecloth to extract the excess liquid and discarded it. I then added the salt and poured the contents into a large frying. Using the back of a spoon, I formed a circular shape and flattened the mixture, all the while goading the perimeter of the circle for depth and formation. Next, it was time to flip the flat bread over and leave until brown. When the bammy finally cooks, it is customary to saturate it in milk (I choose coconut milk). Followed by either grilling (I grilled mine on both sides) or re-frying the bread until brown. How long should I soak the bammy for? Once cooked the bammy can be soaked in milk for upto 20 minutes. Just as long as the bammy is left in the milk for a short period of time is the most important aspect. What can you eat Jamaican bammy with? Wash and peel the cassava. Grater the cassava on the fine section of the grater box. Use a cheesecloth to squeeze out the excess liquid and discard. Add the salt and break down the lumps of cassava pulp. In a frying oil pan, under low heat with 2tbsp of oil, add the contents and begin to flatten the cassava in a circular shape, use the back of the spoon around the perimeter to mould the shape. Rotate the pan to ensure the entire base of the bread is coated with oil and not sticking. Use egg spatula to flip the bammy over when golden brown and cook otherside. Remove from heat and pour milk onto the flatbread and leave to saturate for 15-20 minutes. Girl, I am so making this Jamaican bammy this weekend. A quick question can I use frozen grated cassava. If not I will try grating with a food processor. Hey Imma, Yes you should be fine with frozen grated cassava. Just make sure to defrost thoroughly and squeeze off the excess liquid as this is a crucial step for the formation of the flatbread using the pulp. I hope you like it and please take some pictures (if possible). This is FANTASTIC! That is all! If you are idle like myself, you can buy them ready made. The juice used to be used by the Arawak Indians as a poison on the tip of their arrows, so please be careful. Thanks for commenting Doreen. The as per recipe the juice is squeezed out of the cassava also the poison is broken down during grating anyway it’s safe to eat. My grandmother taught me how to make bammy, a lot of women made their own bammy before it was readily available to buy. I would be more worried about what’s in the store brought kind then making my own from scratch since you have more control over what goes in there and follow the safety measures to make your own. Thanks for sharing such a great website. I was wondering if you knew a paleo recipe for salt fish fritters? I love them but I cant eat them generally because I am gluten, dairy and grain free!. Also, do you know how to prepare you own salt fish from scratch? Commercial bought salt fish is prepared generally using the toxic processed salt which is incredibly bad for health. It would be much healthier in sea salt. Hi Sarah, thanks for reaching out to me and glad you like my website. I am actually working on a cookbook as I type which I am hoping to release next year. I’m going to include more Caribbean recipes in there. I love saltfish fritter too, but haven’t found a gluten free/paleo friendly version that fully replicates the texture/flavour as we know it. Salt fish can be made using a dehydrator with either himalayan pink salt or sea salt. I’m still deciding whether or not I should do an online tutorial showing my readers how to do this or save this one for the cookbook. Hi Charla – great to be eating healthy! 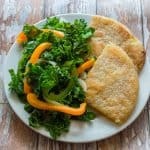 Cassava flour is readily available (in Belize) how any cups cassava flour would I need for this recipe? 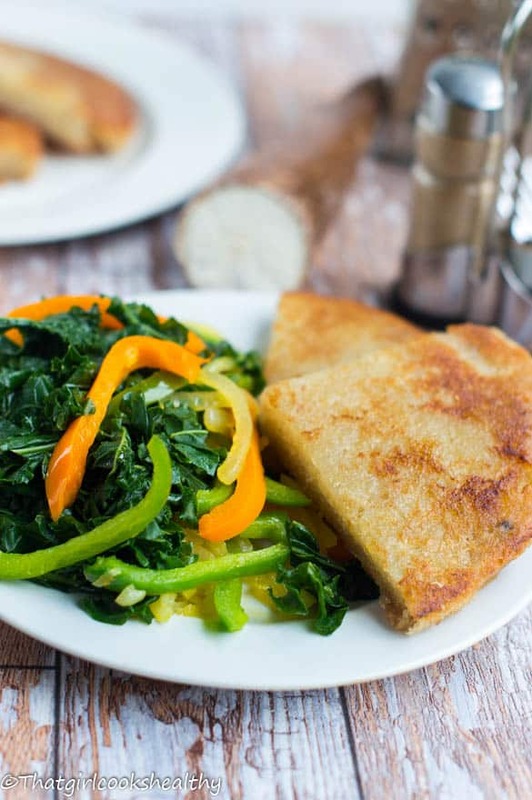 Have you tried cassava pancakes and tortillas … which cooked longer make perfect paleo ‘pitta chips’? Looking forward to home-made bammi!! Thanks for sharing healthy recipes. Hi Sheila, Unfortunately, cassava flour cannot replicate bammy you would need to use the actual cassava root in order to achieve the dense texture as shown. The flour would make a decent pancake or tortilla (only tried it a few times). Glad to be of assistance. Many thanks for the recipe. I fell in love with bammy while in Jamaica and have been craving it! I love Jamaican Bammy! Tried it for the 1st time in 1997 and still love it today! Everytime I go to Jamaica, I have to buy it. I now crave it and have purchased it online – not the same! I even tried to make it and it was a fail – because I didn’t have a recipe. I will give this one a try! Hi Regina, I’m so glad to have fulfilled your love for homemade bammy. I’m sure you will like my recipe and I’m always happy to help, should you need any assistance, enjoy!! I was wondering if you have published your cookbook? Not yet, I’m working on a few projects and a cookbook is in the pipeline.